Are you interested in math, engineering, or science? The Mathematics, Engineering, and Science Achievement (MESA) community college program can provide academic support to help you excel in these subjects and transfer to a university to continue your studies. 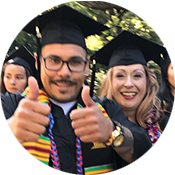 Our goal is to support educationally disadvantaged and historically under-represented undergraduate community college students and develop a new generation of STEM leaders in California. The MESA program at Gavilan College provides not only services, but also a culture and community geared toward student success in STEM disciplines. We are here to help you succeed! MESA students are eligible to receive priority registration, so you can register a day before other continuing students on campus. Receive guidance and planning so you can take the correct courses in the most effective sequence and transfer in a timely manner. We monitor your progress and success. We provide guidance to help you transfer to a 4-year college, including applications, personal statements, transfer agreements, and more. 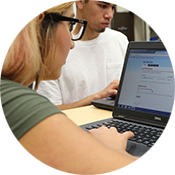 MESA students get free tutoring services dedicated to students that are in the program. The MESA Center serves as a hub of activity where students can do homework, receive tutoring, build community, and engage in cultural and social activities. Other services include calculator and laptop loan programs, internship opportunities, university field trips, and more! Download the MESA Application Form and turn it in to the MESA office in MA-115. OR Apply online at MESA Online Application Form. Call 408-846-4968 to schedule an appointment to meet with the MESA Director. During your appointment, the MESA Director will review your application, determine your eligibility, and answer any questions you might have about the program.